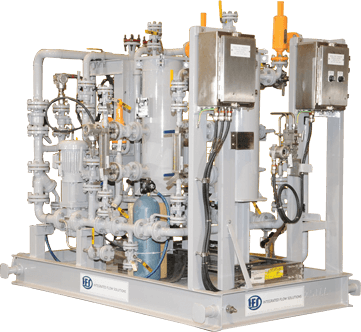 is a global solution provider of modular process skids for liquid and gas process systems. These units are fully optimized “Engineered-to-Order” turnkey modular systems which ship ready to “plug into” the process flow at your plant. IFS designs and manufactures a wide range of modular process systems for several industries. Some of IFS’s most popular packages include NOx Reduction for air quality control, Fuel Gas Conditioning for combustion turbines and boilers, mini gas-to-liquids plants for stranded natural gas, just to name a few. With a sales group comprised entirely of engineers, we can speak processing engineering fluently with you, which makes things happen more quickly and smoothly for all involved. However complicated, IFS engineers will design per your specifications. In the end, IFS will build the modular process technology packages to be optimized, certified, tested, delivered to your site, and performance guaranteed to meet your requirements anywhere in the world. With up to 25 engineers on staff, we build about 140 skid-mounted packages a year for the domestic and international markets. Let us build yours.